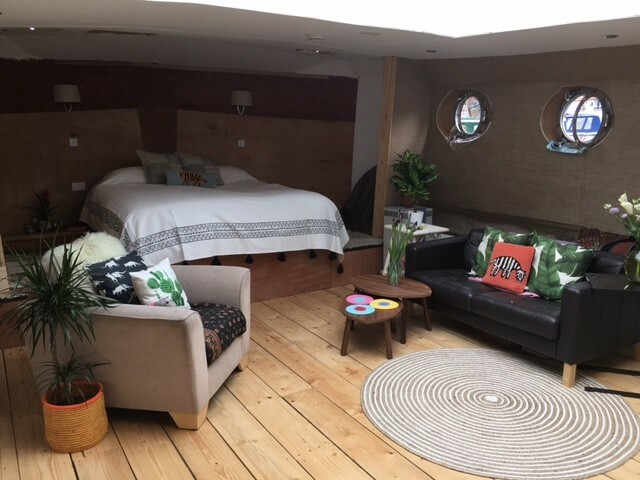 Enhabit was contacted last autumn by a couple living on one of the largest houseboats in London, moored permanently in a marina in East London. 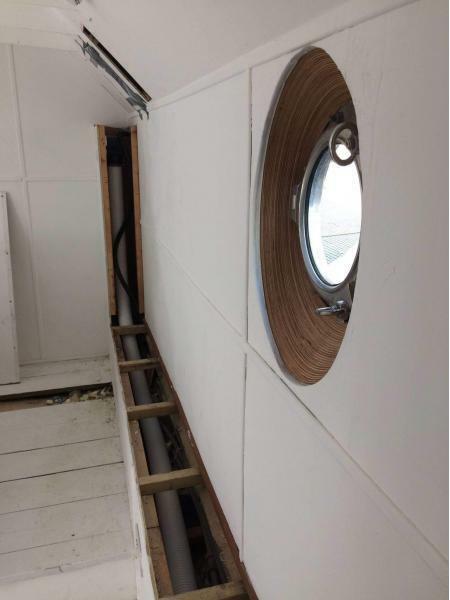 High levels of VOCs can cause sickness and discomfort, and the effect of these VOCs was exacerbated by the incredibly-high airtightness level of the boat at 0.2 Air-Changes per Hour (ACH) at 50pa. 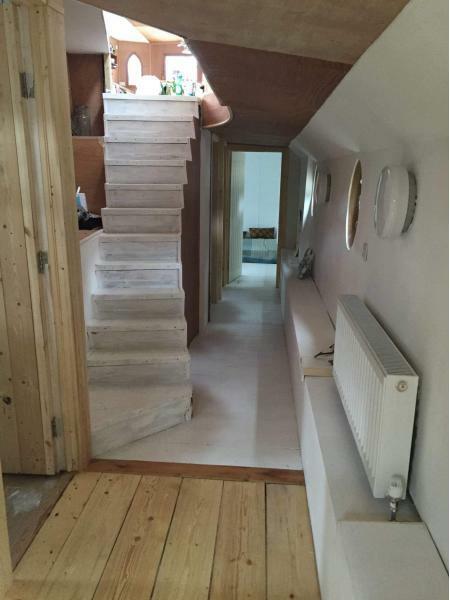 The houseboat is three times more airtight than most Passive houses! Zehnder’s new ComfoAir Q600, with a 96 percent heat exchanger recovery rate, can handle extremely high airflow rates (551m3/hr of airflow in standard speed). Enhabit designed a system that minimised noise by upsizing the ComfoTube ducting from 75mm to 90mm diameter, so it could push through more air at lower air speeds, calculating comfortable flow-rates and monitoring and balancing humidity levels. The Zehnder Q600’s heat exchanger was removed in exchange for an enthalpy changer, which would recover moisture from the warm exhaust air and transmit it to the dry supply air in winter. Enhabit’s install team routed the ducting along the edges of the boat in hidden channels, rising to the upper deck through dedicated risers that penetrated the boat’s steel structure. 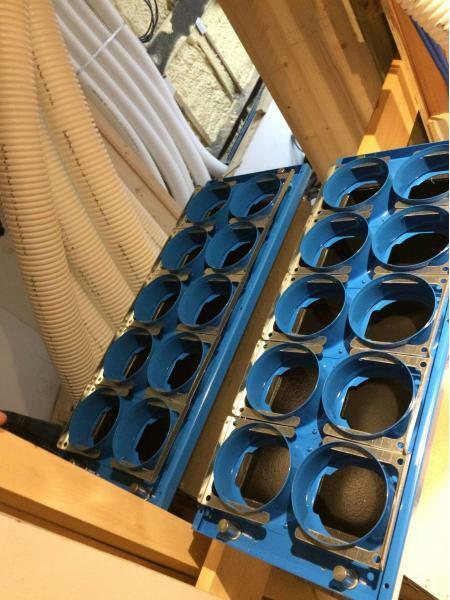 Twenty separate valves measuring a total of 250 metres of ductwork were run all around the houseboat’s frame. 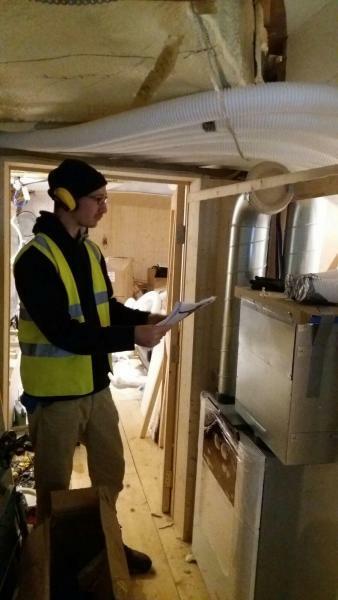 The Q600 MVHR system is now up and running, with a total turnaround from Enhabit receiving the initial request through to design, installation and commissioning of only eight weeks. 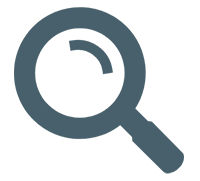 The client could finally close their windows and doors and run their heating as they headed into the cold London winter.